A newly recovered addicts biggest fear is the dreaded withdrawal process, the physical pain of the bodies dependence, the cravings and depression stemming from heavy use and the doubtful thoughts that remind them that they are unable to keep themselves from using. MAT medications were formed to meet four goals, to block the ability to get high from an opioid, eliminate withdrawal symptoms or cravings or stop use completely. Sublocade hopes to meet all four goals through a monthly injection. The widely used and scientifically proven method of Medication Assisted Treatments (MAT) has been developed to ease that pain for those looking for sobriety. But abuse is still an option with the medications currently available, which leaves people to question its legitimacy and seek alternative options. Sublocade is the newest choice in Medication Assisted treatment, and may be the safest new option for those struggling with appropriately using their prescribed medications. The newest FDA approved MAT method is a once monthly injectable slow releasing opioid addiction medication. Indivior Pharmaceuticals was first known for its daily use medication Suboxone, which comes in pill or sublingual filmstrips and combines Naloxone with Buprenorphine to manage opioid addiction cravings. The brand new method is being praised as making the medication more widely accessible to those seeking sobriety without the risk of abuse. Criminal justice programs and health officials have been wary to completely back the medications because they can be sold and abused just as much as street drugs. Dr. Andrew Kolodny, co-director of opioid policy research at Brandeis University, openly praised Sublocades’ development. “It’s potentially a game changer, this could become first-line for opioid addiction. It could open up opportunities for getting more patients on buprenorphine.” He said. Sublocade may be confused with the other injectable option Vivitrol, owned by Alkermes’s, but unlike Vivitrol, users do not need a 7 day detox period before starting its use. Which is beneficial for the addict who cannot afford to attend an inpatient detox and cannot fathom the thought of going through withdrawals while abstaining from opiate use. Vivitrol can be seen as dangerous as it strips its users opioid receptors completely making a relapse potentially deadly, as a user will take the same dose they were used to previously before taking the medication, but the body’s tolerance will be much lower and chances of overdose become much higher. The approval for Indivior’s drug was anticipated after an advisory panel voted 18 to 1 to recommend it last October. FDA Commissioner Scott Gottlieb supported Sublocade’s approval, saying it was “part of our ongoing work in supporting the treatment of those suffering from addiction to opioids.” The approval of the long-acting buprenorphine was in line with the FDA’s plans to “issue guidance to expedite the development of new addiction treatment options,” he said a statement. The approval was cleared after the completion of two clinical studies, that involved 848 adults diagnosed with moderate to severe opioid use disorder. The studies included a randomized clinical trial and a second open-label clinical trial, and the results found that patients treated with Sublocade had “more weeks without positive urine tests or self-reports of opioid use” than those who administered with a placebo instead. Sublocade patients also showed a higher proportion of patients had “no evidence of illicit opioid use throughout the treatment period,” the FDA said in a statement. The agency mentioned the most common side effects of Sublocade included constipation, nausea, and vomiting. 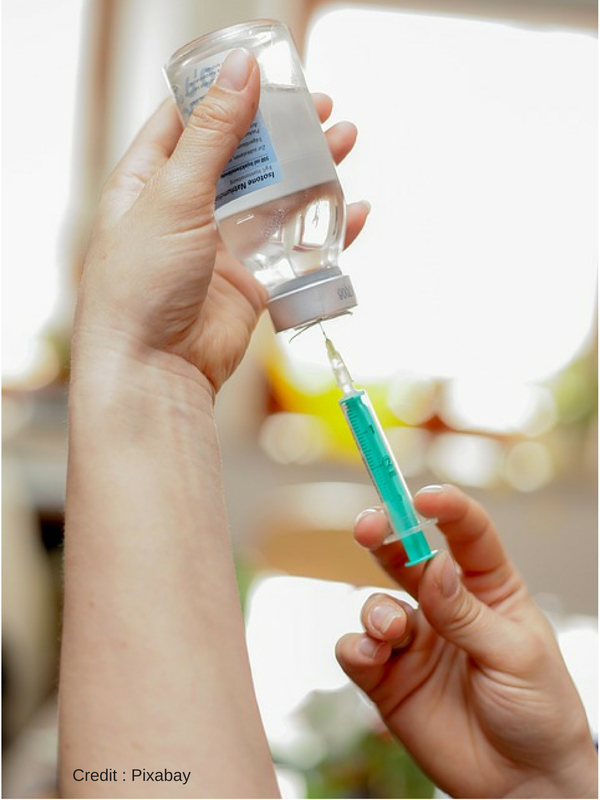 Patients who receive Sublocade will be given an abdominal injection administered by a health professional after taking a daily regimen of the sublingual buprenorphine tablets for a minimum of seven days. It is to be used in conjunction with treatment that includes psychosocial support and counseling.